Unique fabric combination Flattering fit on the body without compromising comfort. Extremely durable and able to withstand repeated washingsLonger fashion fit in lightweight triblend. 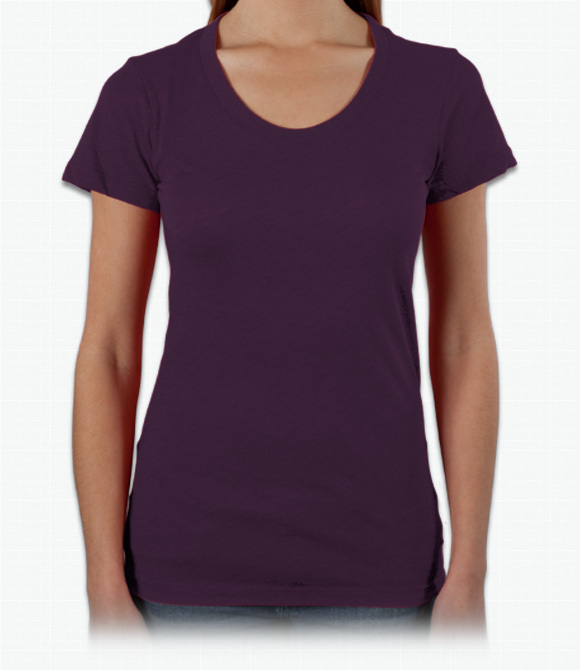 A long-length, snug-fit crewneck in super-lightweight triblend of cotton, polyester and rayon. "As I mentioned above, the printing process changed the texture of the front of the shirt. I don't know if this always happens or if it happened because of the specific material of this shirt. But now the shirt is not as soft." "It appeared a little smaller and tighter than expected...hoping it fits my niece...but the material was definitely nice!" "Differences in sizes are minimal. If your group is full of small ladies you will be fine."